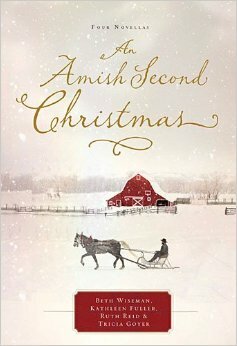 Four novellas by four best-selling authors intertwine for A Second Amish Christmas, coming October 14, 2014. Katherine Zook and her four children are facing their first Christmas without a loved one, and the future seems dim. But when a mysterious Englisch man begins to show up in the most unlikely of places, Katherine can’t help but be suspicious . . . and a bit curious. When Joy Stolzfus’s boyfriend tells her he wants to court other women, she’s shocked. She pours her heart out in a letter, but it mistakenly reaches Noah Esh. The two begin writing letters back and forth, but a misunderstanding threatens to topple the relationship they’re building. Esther Glick bakes a Christmas pie for a fundraiser, and she soon finds herself sitting across from bachelor Ammon Schwartz. Esther receives many orders for pies, but when she breaks her wrist, she discovers what community—and love—are all about.